Late each summer the Summersville Dam is released to provide a few days of increased flow on the Gauley River. 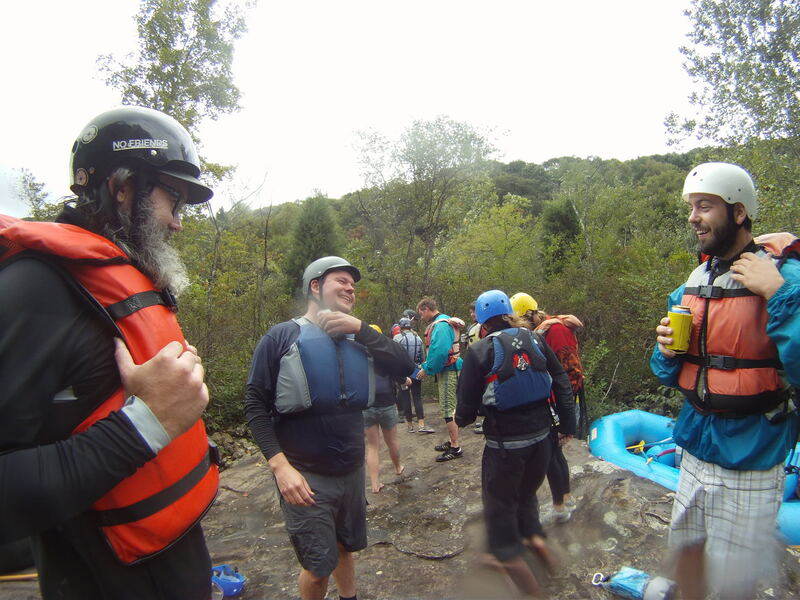 It's become a regular event called Gauley Fest which includes concerts, vendors, boat raffles and gear swap. We were lucky enough to have lodging, shuttle, and food waiting for us when we arrived, compliments of our friend's company, New River Outfitters. The place was great! Fully loaded with hot tub and kegerator! Our group separated into two boats and soon we were headed down the river. Our boat had only one paddler with experience on a whitewater raft, but we all pulled our own weight and navigated the river with ease. I fell out of the boat at a crucial rapid, Pillow Rock Rapid, and our entire boat (minus the guide) was pitched later down the river at Box Canyon. The other boat was tangled in the hydraulics near the end of the trip, which sent a few of its members swimming for the shore. Somehow we all emerged from the carnage with smiles on our faces and tales to tell. Somehow I forgot to upload this little gem.